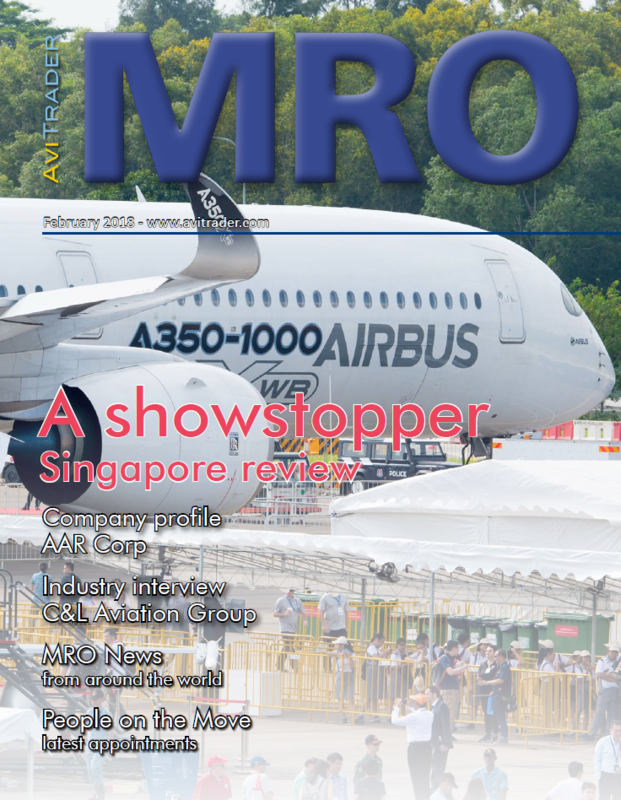 In addition, Airbus’ statement issued on Monday this week made reference to leaks about job cuts which the media had seized upon: "Airbus deeply regrets that the process on the current subject matter has been disturbed by leaks to the media, which resulted in excessive reporting about alleged job cuts in its four home countries." Airbus has indicated that it will say no more on the matter until after the meeting has taken place. Seeker Aircraft has announced that Seeker, a one-of-a-kind, purpose built light observation aircraft, specifically designed and developed for intelligence, surveillance and reconnaissance (ISR) missions, will now be available for purchase from aircraft dealer Ecoalpha Services based in Accra, Ghana. This partnership marks a new expansion effort by Seeker Aircraft into Africa and the Middle East. Ecoalpha seeks to expand their market offering with the addition of the cost-effective Seeker aircraft for not only ISR missions but also for powerline and pipeline patrol in the energy rich African continent. Ecoalpha’s current offerings include helicopter-based services, asset management, and heavy load movement. International Airlines Group (IAG) traffic in February increased by 5.8% versus February 2017, while Group capacity rose by 3.5% year over year. The load factor for February increased 1.7 points to 79.7%. Aviation Capital Group (ACG) has announced the formation of its new Aircraft Financing Solutions (AFS) group. 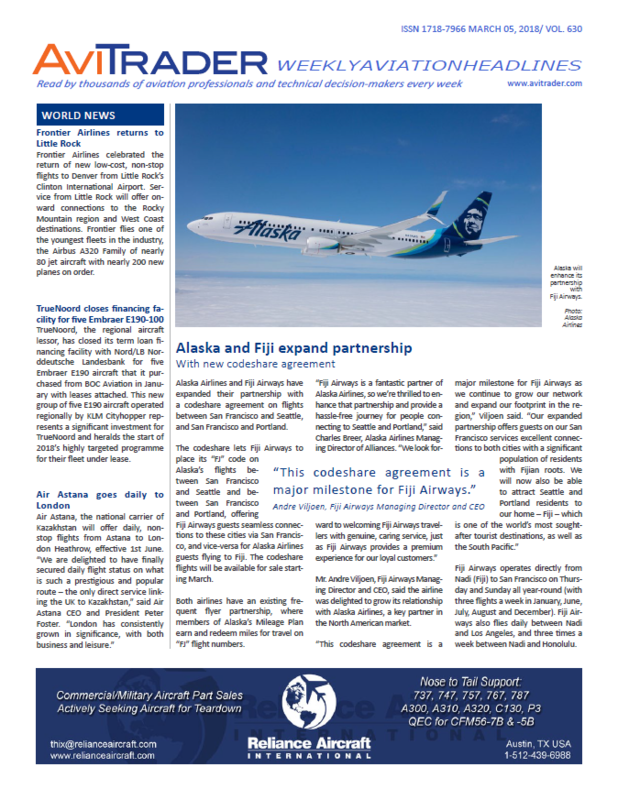 The AFS initiative will focus on the development and marketing of credit-enhanced financing structures that provide airline customers more alternatives and greater access to additional sources of capital for aircraft purchases, while providing improved risk-adjusted returns for lenders and capital providers. To help launch the AFS initiative, Robert Roy, Andrew Falk and Robert Lewandowski will be joining ACG as managing directors and will together help lead program development, transaction underwriting and management. All three executives were previously with the Export-Import Bank of the United States (EXIM Bank), collectively serving over 50 years as key members of EXIM Bank’s aircraft finance team. Together, they helped create and run EXIM Bank’s highly successful aircraft finance program, which supported over US$100bn of financings, covering more than 1,700 commercial aircraft. The Board of Directors of RUAG has chosen Andreas Berger as the new CEO of RUAG Defence. He has already been managing the division on an interim basis since October 2017 and is now taking over this role permanently. Andreas Berger is an electrical engineer who started his career with RUAG in 2010. Until 2017, he was Senior Vice President at RUAG Defence with operational and strategic responsibility for the management of the Network Enabled Operations Services business unit. The initial two A330neo jetliners destined for TAP Air Portugal, have rolled out of the paint shop bearing the red and green livery of the carrier, which will become the launch operator of this new member in Airbus’ A330 family. Leonardo announced further combined orders for helicopters at HELI-EXPO in Las Vegas for a total of 17 aircraft valued at almost €140m for several customers in various countries and for a range of commercial and public service applications. Contracts include a mix of AW119Kx single engine, AW109 GrandNew and AW109 Trekker light twins, AW169 light-intermediate, AW139 intermediate and AW189 super medium types, confirming the strong competitiveness of the Company’s modern product portfolio. A total of seven emergency medical service helicopters (EMS) to be operated in Europe have been sold, including four AW169s and three AW139s. One AW169 in particular has been purchased by Specialist Aviation Services (SAS) in the UK, which has already received seven aircraft and plans to bring the total fleet of AW169s to 12 in the future. One AW169 has been ordered by HeliService International GmbH (HeliService) of Germany to perform missions in the North Sea. HeliService’s fleet already includes two AW169 in service and their initial orders in 2015 and 2016 marked the first AW169s for this application and the entry of the new model into the German helicopter market. Growth in the offshore transport market was achieved with the sale of one additional AW139, plus one option, to Travira Air in Indonesia. This is the fourth aircraft of this type sold to this operator in the Southeast Asian country. In the UK, Sloane Helicopters, official distributor of Leonardo helicopters with more than 75 aircraft sold in the UK and Ireland, placed an order for one AW109 GrandNew VIP and one AW109 Trekker. Sloane becomes the first customer for the recently EASA-certified AW109 Trekker in Northern Europe, following international market success for the new type which has so far logged orders for over 40 units. Another AW109 GrandNew has been ordered by Japanese official distributor Kaigai Corporation while an AW139 will be used for shuttle service operations in Spain. In Argentina, Flight Express placed an order for an AW119Kx and an AW169 in VIP/Corporate configuration. Finally, the Tianjin Municipal Public Security Bureau has chosen the AW139 for law enforcement emergency response, security, traffic control, search and rescue (SAR), and other public utility duties, expanding the presence of Leonardo in China for law enforcement roles. The Company has already delivered more than 20 aircraft of various models to Chinese operators for this task to date, including 9 AW139s. AFI KLM E&M and XL Airways have extended their existing contract covering component support (repairs and pool access) and A checks for the French airline's four Airbus A330s from its Paris-Charles de Gaulle base at Roissy. The scope of the contract could eventually be broadened to include support for other aircraft, depending on the growth of the XL Airways fleet.